Over medium-low heat cook sausages and then cut into slices. While cutting sausages, fry onions until clear. Add garlic and parsley. Cook until parsley is soft. 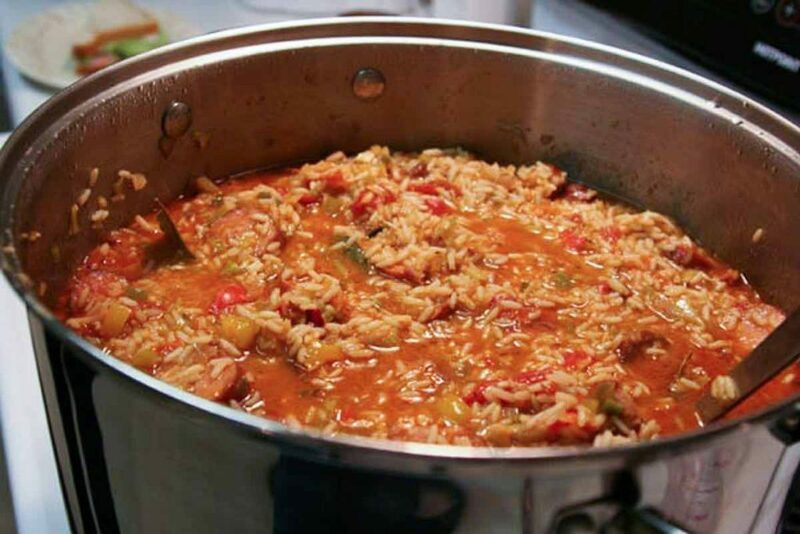 Add tomatoes, red pepper, thyme, salt, water, and rice. Bring to a boil and stir in shrimp. 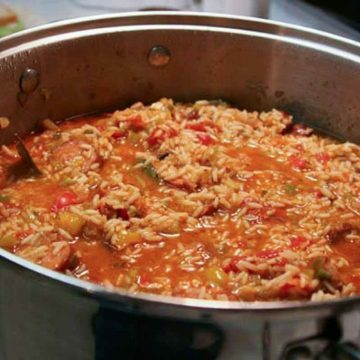 Simmer on low heat until rice is tender and shrimp is heated through – about 15 minutes.